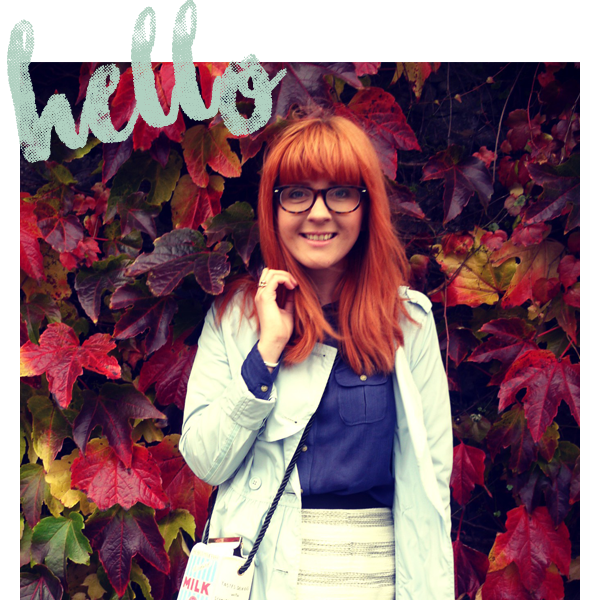 Blogger has switched me over to the new version and I must say I never realised I hated change so much! I cant find or do anything?! 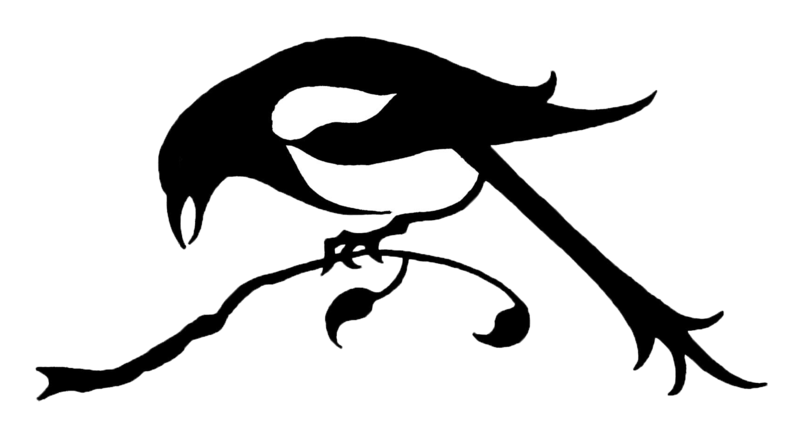 This layout is clean and white and...its probably great but right now its a hassle! 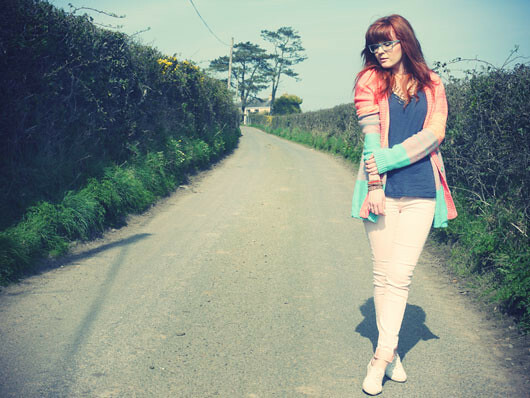 Cardigan: Asos, Pastel Skinnies & Brogues: River Island, Vest: H&M, Necklace: Topshop. Necklace worn as bracelets: H&M, Watch: Casio. What spring essential is getting you through the April showers? I love that cardigan & you're so pretty!! S'nice. Love the specs also. 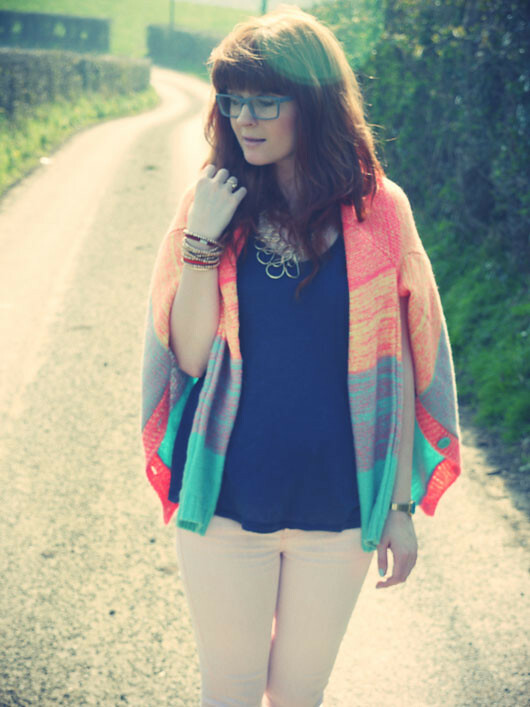 In love with that cardi! I must say, living in London Ive been getting my fair share of cardi wearing too... oh spring, where are you? -JB. Wow that cardigan is so nice! I love big slouchy jumpers and cardis. It goes so well with your jeans. 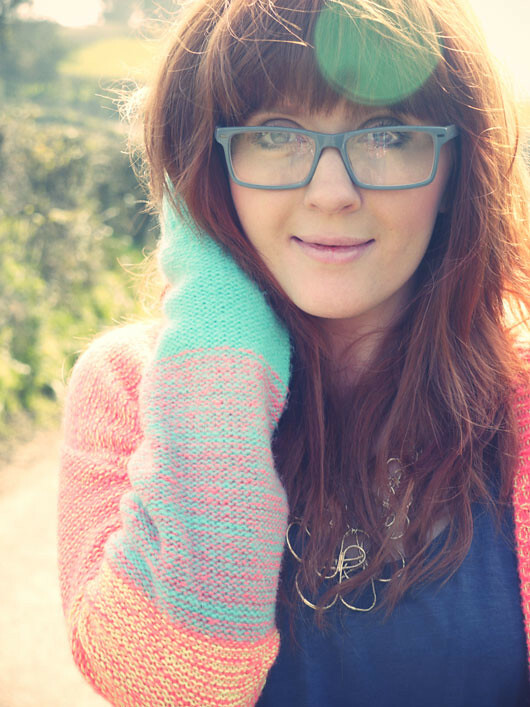 That cardigan looks as if it should go with anything but it really does and its lovely! Love the cardigan! Goes so well with the pastel skinnies too. Gorgeous. I don't like the new blogger layout either! Hope we get used to it soon! I love the cardigan! you look so beautiful in this outfit and post. Lovely. Your glasses are so cute! I'm so obsessed with them. I've wanted a pair like that so bad, but my eyesight is too horrible for cute frames (that's what the guy told me anyway). I'm stuck with an extremely ugly pair, thank god for contacts though. Anyway this outfit is so cute! I'm in love with your cardigan. Ahh it's so bright and colorful! Oh my, that cardi is a beaut!! Love love love the cardigan! Beautiful outfit! It's so summery but perfect for a chilly day! Gorgeous style! We like it! wow, so colorful! I actually like the new layout because I've been having it for a while so I learned to like it haha. That cardigan is gorgeous, pastel shade suit you so well! I have to admit I'm a big pocket person, so I would definitely miss them on the cardi! Colorful knit!!! I'm in love with it!!! Fresh combination!! Pretty!! 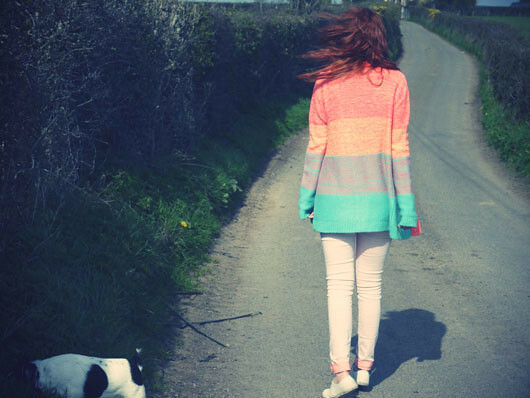 That is such a beautiful cardigan! That cardigan is awesome! Such a pretty mix of colors. I really do not like the new blogger layout but then I always hate change, I'm still seething about the Facebook timeline. I love that cardigan, it looks like it'll be a great spring piece to take you through the transition to summer. Why does everything always change when you just get used to it!